Melt butter in a large skillet over medium heat. 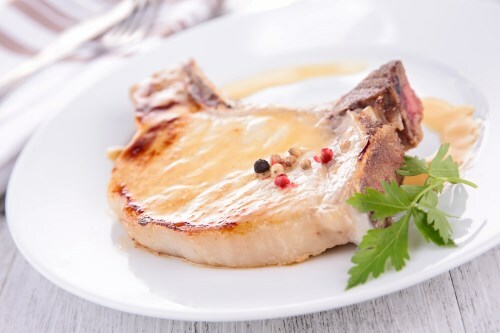 Season pork chops with salt and pepper, and arrange in a single layer in pan. Pan-fry for 2 minutes on each side to brown. Pour in wine, and continue cooking for 6 minutes. Remove chops from pan. Pour cream into the skillet, and then add mushrooms. Increase heat to high; cook for 5 minutes, stirring frequently, until sauce reduces and thickens. Return chops to pan to warm before serving.